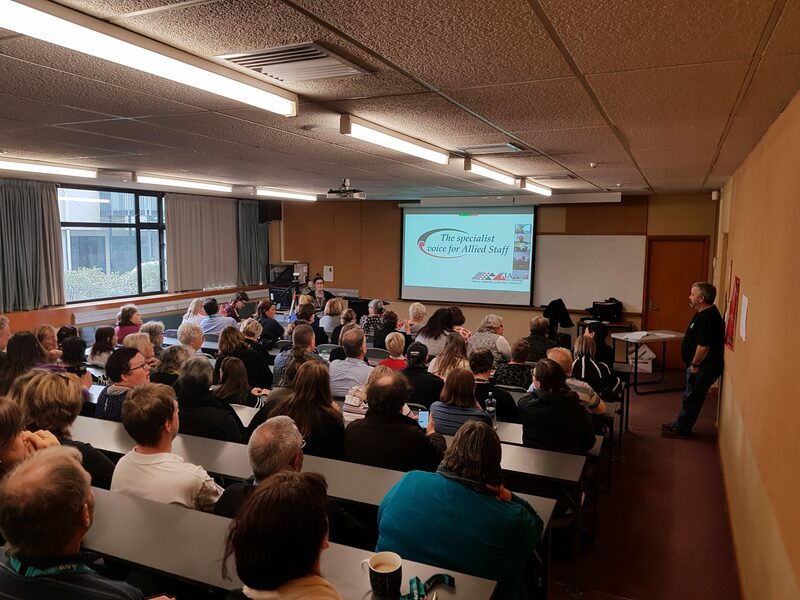 TIASA members attending yesterday’s Branch stopwork meeting at Ara Institute of Canterbury, voted unanimously to reject Ara’s salary offer for the Allied Staff collective agreement. 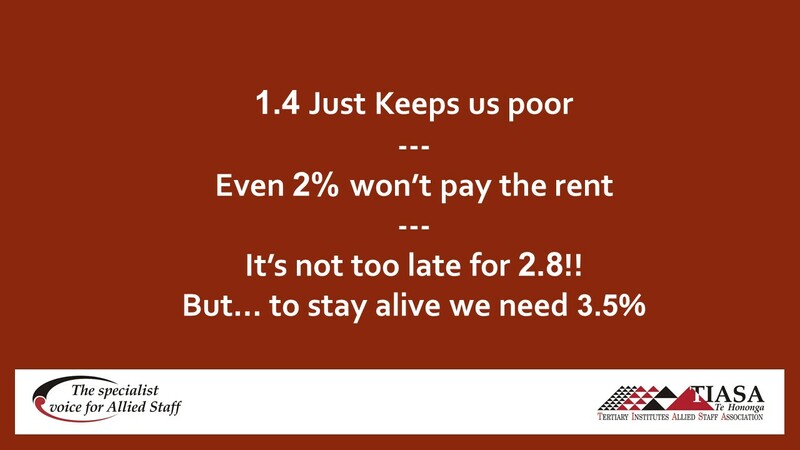 The offer of 1.3% for a one year term or, 1.4% + 1.4% for a two year term was described as insulting, miserly, disrespectful and not valuing of allied staff. The well attended meeting instructed TIASA’s negotiating team to urgently reconvene bargaining and, have also resolved that if significant progress is not made, that a stopwork meeting be urgently called so that they can consider what action they may take. TIASA members packed the lecture theatre while others joined by Zoom video to receive a bargaining update.